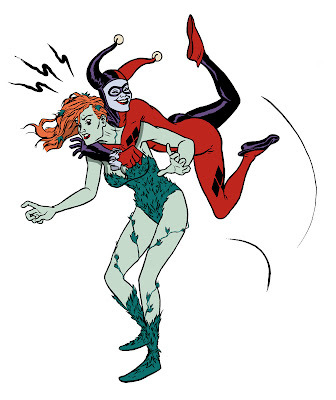 I felt like adding some color to the Harley and Ivy sketch. Used to love their team-ups on the old animated series. when are you having comics night? holla back at me. i'm wrestling next week, you and da maris should drop by. Great stuff Joe - dig the FACA arena girl as well. Thanks. I welcome more blog fans. Heck, I crave it! I'll try an post much more often. Been way stressed with moving... oy.